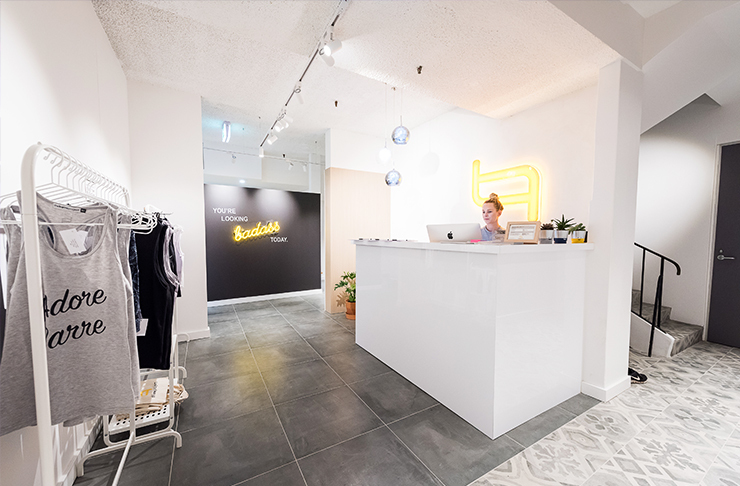 A new (and luxe AF) barre studio has just opened in the CBD. If you’re a fan of not thinking while you’re working out, but want to have so much fun that you almost (yes, almost) forget you’re doing a helluva lot of hard work while getting ripped—The Barre Project is for you. Hidden seven floors above the bustling Castlereagh Street, you’ll walk out of the lift and enter a fresh studio with all the bells and whistles. This is the kind of place where dry shampoo, bobby pins and extra deodorant are always on standby, and the person behind the reception desk learns your name. There’s even a neon sign that’ll tell you how badass you’re looking today and we’ll forgive you for wanting to move right in. The people working at The Barre Project are a special breed of human—they manage to be ridiculously fit, encouraging and seriously lovely people all at the same time. They’ll spur you on while inflicting a lot of that hurts-so-good kind of pain. The class will begin once you’ve locked your valuables, stolen a couple of bobby pins, popped your socks on and psyched yourself up to try something new (always terrifying). We promise by the time the music kicks in and the fluorescent lights come on, you’ll be cutting shapes and working up a sweat immediately. 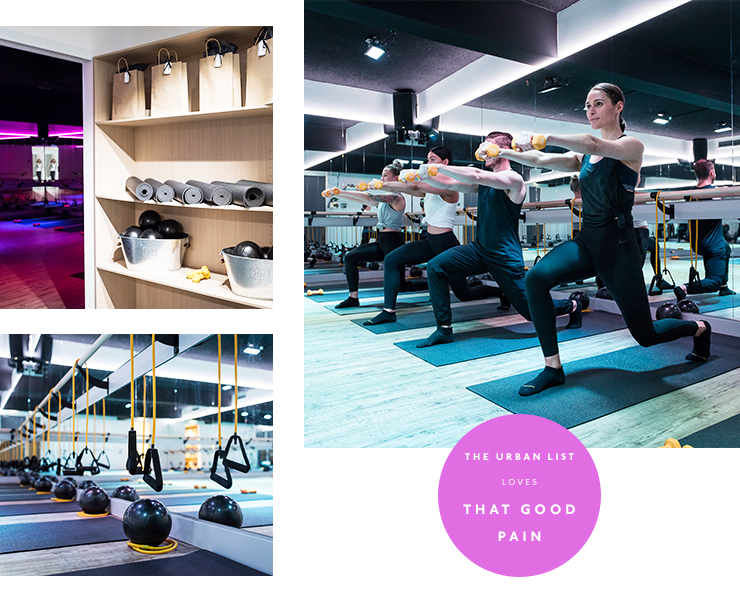 Each class combines pleasantly familiar exercises like squats and lunges with traditional barre movements, and as you transition to a new region of the body (and a new world of pain) the room transitions to a new colour with you. This is a welcome relief when you realise it means your instructor is finally finished working the deep muscles of your glutes for five minutes straight. For all of you barre virgins who’ve already convinced yourself this is not your thing (you’re wrong), just know you do not need any rhythm to kill it on the barre or feel the burn. This should mean a lot coming from a non-rhythm possessing person like myself. Plus, there is a class for every style of training—from their SWEAT classes that combine boot camp-style exercises with HIIT, the lunchtime express classes that’ll have you back at your desk within the hour, or an entire class dedicated to your buns. If you’re a lover of hard workouts, great music and general good times, then The Barre Project may just become your new obsession—you’ve been warned. Book here. If you prefer to work out at home, read this.